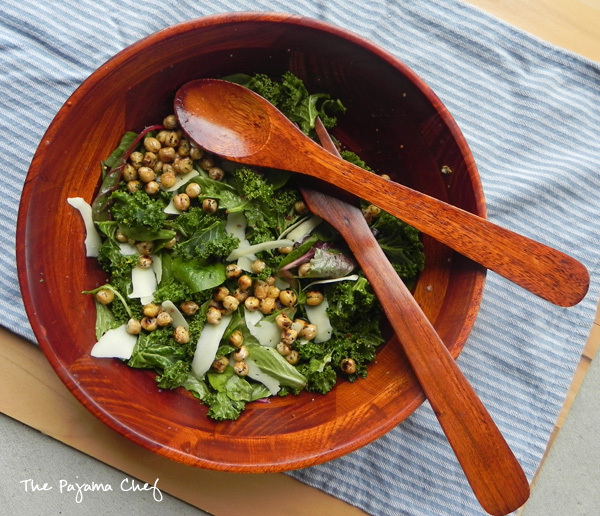 This caesar salad, made with tender spring mix and hearty kale, is full of flavor and spice! A perfect starter to any meal. Welcome to #TripleSBites! For the next week, I’ll be sharing some fun, romantic recipes. Now, my definition of romantic might be a little nontraditional, but my husband LOVED every recipe I’m sharing so that works for me. 🙂 For more details about this week, and to enter the giveaway, go here now! Now, for these fried chickpeas I used one of our sponsor products: Acala Farms Chili Cumin Oil. This oil is awesome! It’s an infused cottonseed oil and is slightly spicy, so it gives a great flavor to those chickpeas as you fry them up in a skillet. I also seasoned them with dried parsley so they’d look a little prettier and to cut that spice a bit. Acala Farms also sent me a Cilantro Oil to try and I can’t wait to play around with that! If you don’t have time to fry up some chickpeas as a salad topper, did you know that you can buy crispy chickpeas that are kinda sorta the same thing?!? Another #TripleSBites sponsor is 2 Armadillos [what a fun name, btw!] and they make all sorts of flavored crispy chickpeas: rosemary, spicy cayenne, tomato basil, and cinnamon toast. So far, rosemary is my fave but I haven’t tried cinnamon toast yet so we will see! They’re perfect for a snack or to put on salad. I’m wondering about trying to bake with them too… as a crust or in granola or something?! Hmmmm… Since the package arrived the other night I just want to snack on them all. the. time! 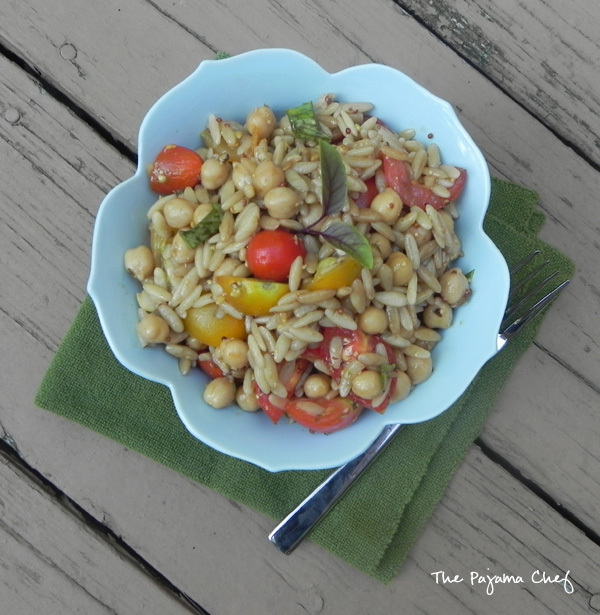 Who would’ve guessed chickpeas would be so tasty?! I truly loved the oil and the chickpeas, and don’t want my blog to read like an ad but simply must say… you need to try these products! I love buying from small businesses and really appreciate how the internet has made purchasing from smaller companies SO much easier. Hope you check them out! 2 Armadillos is on Facebook, Twitter, Pinterest, and Instagram. Acala Farms can be found on Facebook, Twitter, and Pinterest. 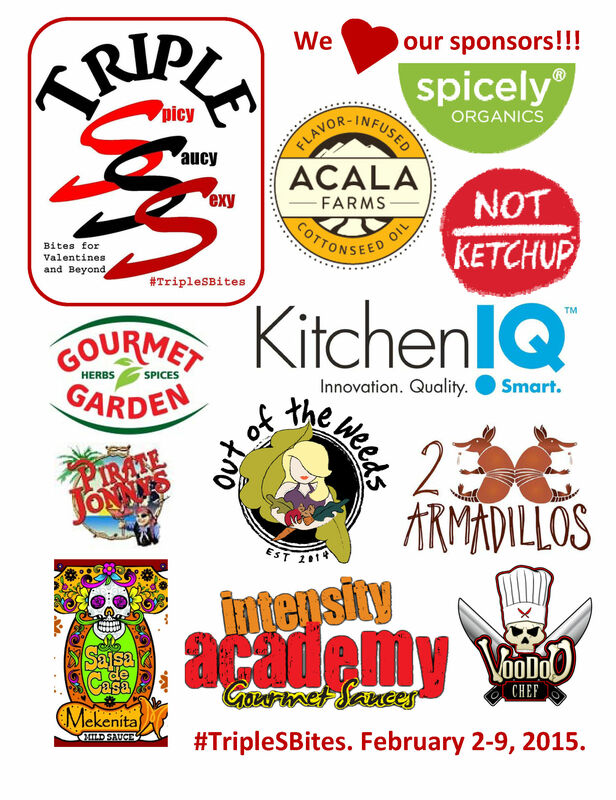 Thanks to these great sponsors! Well, that’s all I have today but be sure to come back later this week for more #TripleSBites recipes, and check out the linkup below for more recipes from other #TripleSBites gals! Happy Monday! In a skillet, heat oil over medium heat. 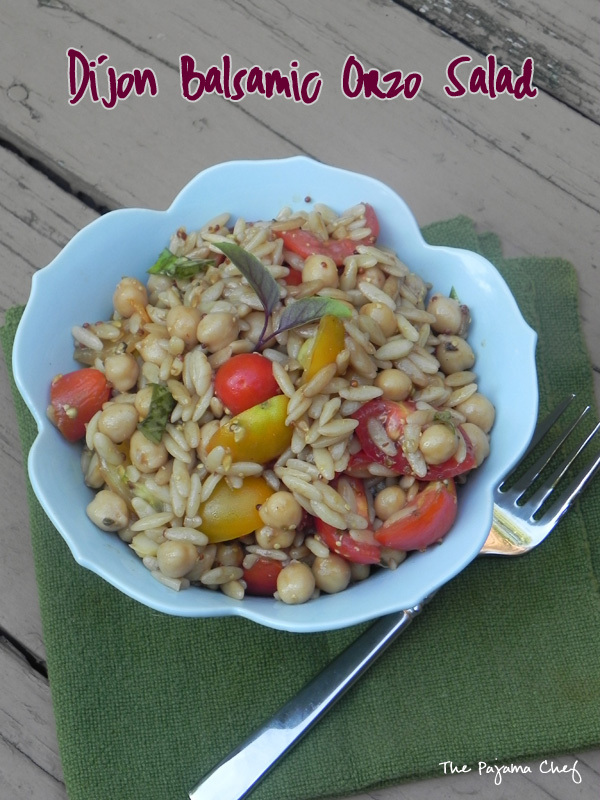 When hot, add chickpeas [make sure they are dry!]. Season with parsley and fry for 10-12 minutes, tossing occasionally and allowing all sides to get browned. Meanwhile, prepare dressing. Whisk together lemon juice, dijon, and garlic. While whisking, pour in 1 tablespoon oil. Season with red pepper, salt, and black pepper. Add extra oil and/or water to thin as necessary. Toss dressing with lettuce. 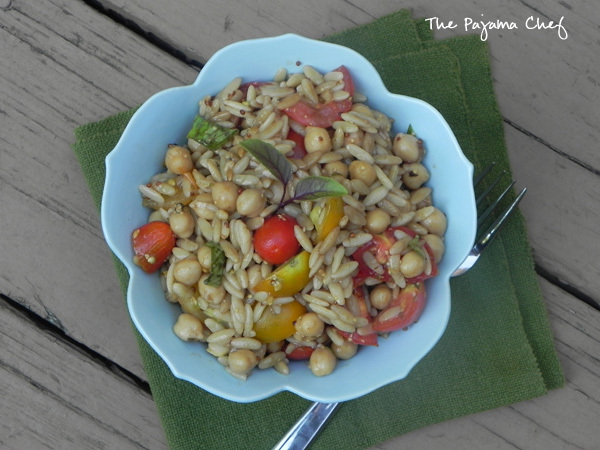 Serve with shaved parmesan and fried chickpeas. Check out these other yummy #TripleSBites recipes! Disclosure: I received some infused cottonseed oil from Acala Farms and some chickpea samples from 2 Armadillos as part of my participation in #TripleSBites. I was not compensated in any way–for my time, to create a recipe, or to publish positive comments. I was not required to use these products as part of my recipe. My opinions are my own. 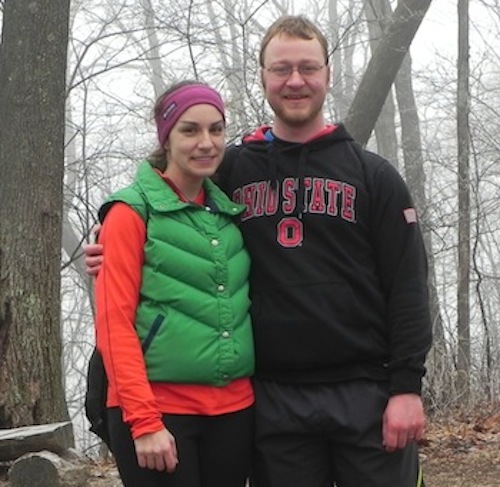 Last week was my spring break, and Ben and I took a quick four-day/three-night trip down to Cumberland Gap, TN. It’s just a short five hour drive from Bloomington, and if you’re not familiar with this area, three states come together in the park–Tennessee, Virginia, and Kentucky. We had never been before but had a blast. Even though winter is still lingering, hiking up in the woods and trails was just beautiful. 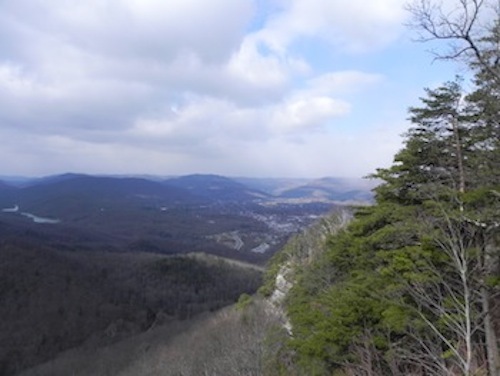 The toughest hike was a 7 mile round trip hike up to White Rocks, a site that was a landmark to pioneers making the westward trek demonstrating that the Cumberland Gap pass was just a day’s walk ahead. Up top in the White Rocks area it was frosty, snowy, and terribly cold. I was so glad I chose to wear my vest instead of leaving it in the car!! 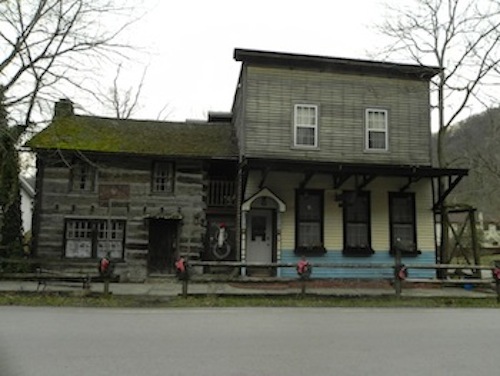 We ate lunch everyday at this adorable cottage turned coffeshop–Gap Creek Coffee. My favorite drink was their Peanut Butter Cup. PB in coffee sounds a lil weird, but you can bet I’ll be looking for that on coffeshop menus in the future. Our dinners were nothing compared to the other meals of the day, but we did enjoy some good Tennessee BBQ! This area of the country definitely wasn’t gourmet restaurant central, but the area’s natural beauty sure made up for it!! 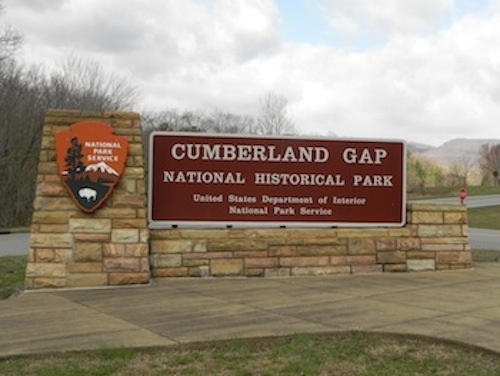 Be sure to visit Cumberland Gap if you can! We’d love to go back someday. Before we left, I made this wonderful salad as an excuse to use up as much of my produce as I could before going out of town. 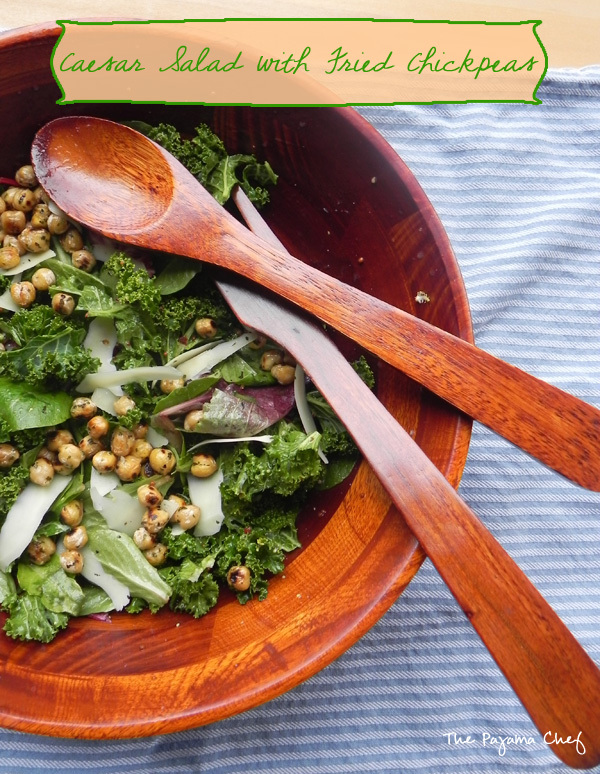 But seriously, you shouldn’t wait til you need to use things up… adding hot roasted, crisp veggies and chickpeas on cold salad greens is my new favorite thing! The contrasting temperatures are just perfect! I didn’t really measure the seasonings used to roast the chickpeas, carrots, and radishes but just used a little cumin, garlic powder, black pepper, ginger, and allspice to make a spicy-sweet spice mixture to rub on with EVOO. 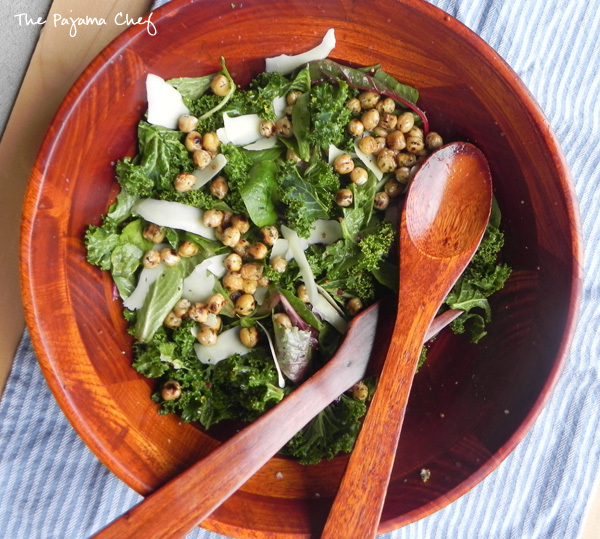 The dressing is a very basic lemon-olive oil-dijon mustard mixture, which paired so well with the light greens and crispy toppings. I thought about adding some vinegar to make more of a vinaigrette, but decided against it. You certainly could if you wanted, though–I just liked the tartness of the lemony dressing with the vinegary tang. Preheat oven to 400 degrees. 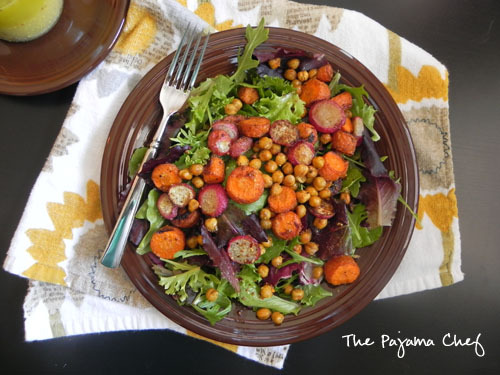 On a large baking sheet, combine chickpeas, carrots, and radishes. Pour olive oil over top, then season with cumin, garlic, black pepper, ginger, and allspice. I didn’t measure these, but was heavy on the cumin, garlic, and black pepper, and a little lighter on ginger and allspice. 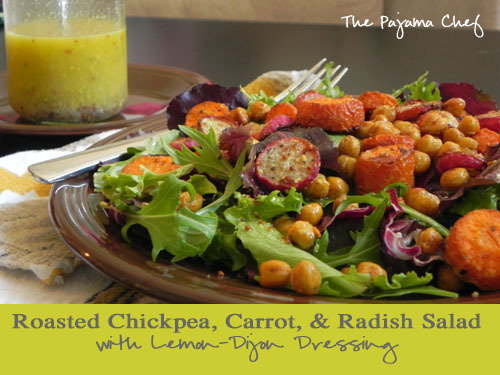 Use your hands to mix oil and seasoning on chickpeas, carrots, and radishes. Bake for 30 minutes, turning once or twice. Meanwhile, make the dressing. 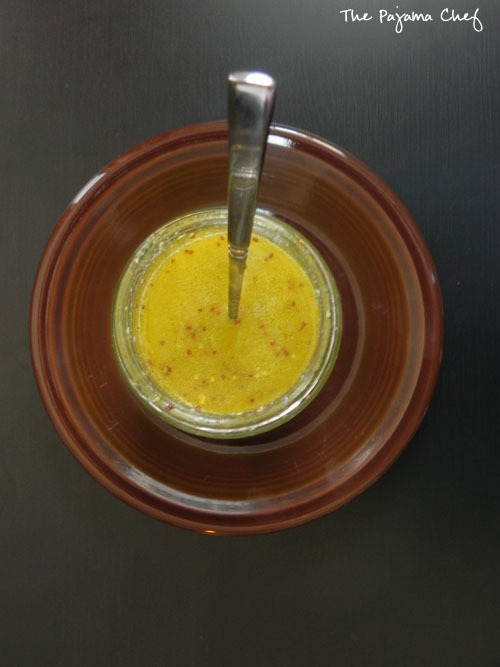 Whisk lemon juice, oil, mustard, and garlic powder together in a bowl or shake together in a jar. Season to taste with crushed red pepper. 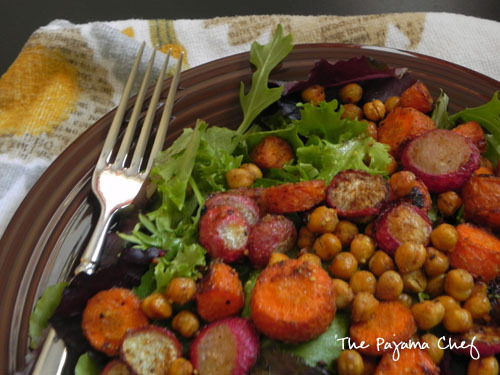 After everything is roasted, combine baby spring mix with roasted chickpeas, carrots, and radishes as desired. Drizzle with Lemon-Dijon Dressing, and top with feta or parmesan cheese, nuts, and avocado if desired. Serve immediately. Yield: 2 large salads or 4 side salads.